What Does Jenkins do for the Repo? The Jenkins system is configured to automatically build the most recent version of several ROS-I repositories and check for any compile errors introduced by changes in the code. Furthermore, it auto-generates analysis reports that expose nonstandard coding practices and bugs that the compiler otherwise ignores. Here we see the ratio between the code comments and the code itself for the recent commits. 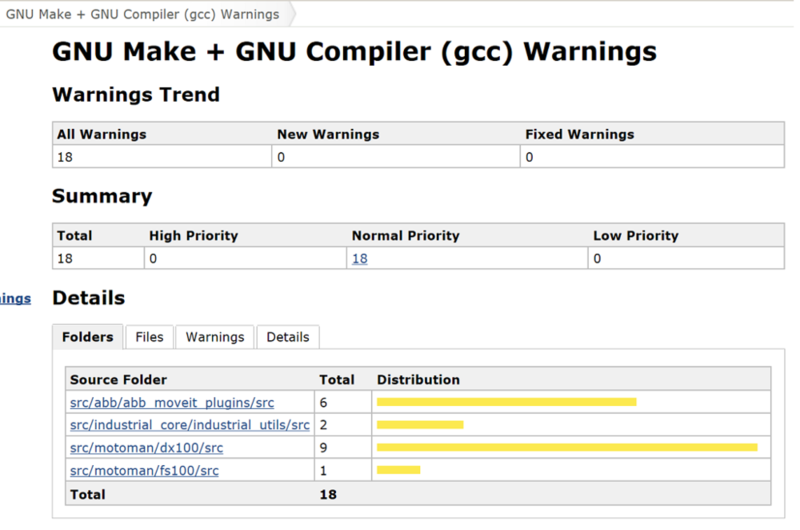 It isn't that exciting yet, because Jenkins has just started tracking. Another helpful report that is auto-generated by Jenkins. Whenever you commit code to the ROS-I repo, the Jenkins system will update its reports. Do I need to install anything to get it to work? How is the ROS-Industrial Jenkins different than the ROS Jenkins (Build Infrastructure)? 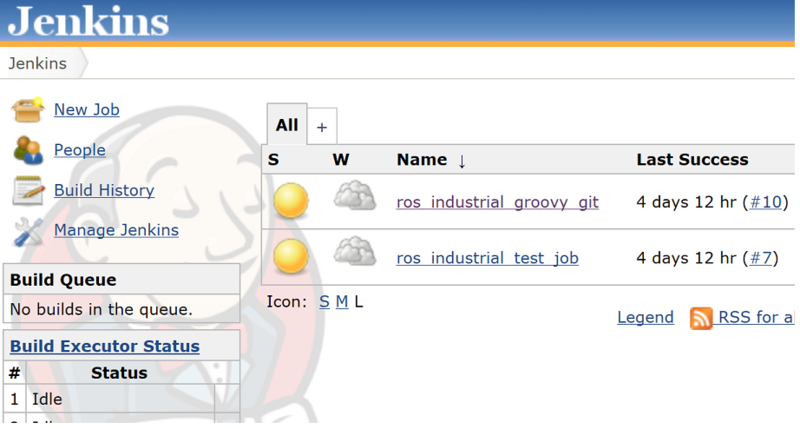 is easy to set up, requiring only the installation of Jenkins and the addition of rosinstall files for each job.